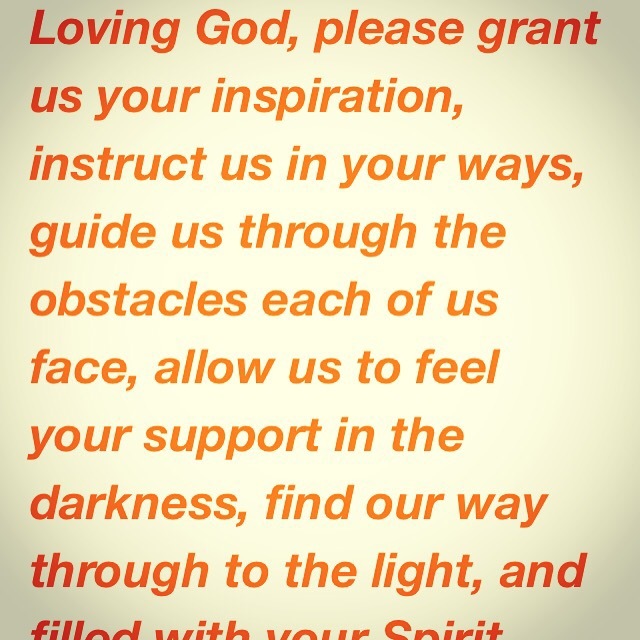 Loving God, please grant us your inspiration, instruct us in your ways, guide us through the obstacles each of us face, allow us to feel your support in the darkness, find our way through to the light, and filled with your Spirit, empower us to lift each other up. AMEN. Putting myself in very good company, but you know, if you don’t strive for excellence, you’ll likely not get there. Seth Godin and Fred Wilson are just two of the millions of blogging voices out there. They are two of my favorites as well. Among the traits I like about both of them is the frequency of their posts. They put something out there everyday. Often the piece isn’t very long. More times than not though, it’a got a little nugget (or a big chunk) of good insight. That’s my other favorite trait: the insight. I’ve read that some of the best stuff about blogging is just this act: SHARING. It’s one of the primary motivations I had when I started this blog: get the thoughts down you think are worth sharing, and get them out there. The motivation to do so? Pretty simple in the end. They’re better out in the collective than kept inside. The sharing moves the conversation forward. Whatever the conversation happens to be. As long as it’s positive. That’s what I strive for. Furthering the good out in the world. At least a few words at a time. So here’s to resetting to more frequent blogging. And sharing the good. After more than a month hiatus from blogging, I feel a new, expanded sense of purpose and direction in the new year. No surprise really, since January frequently brings to the fore new goals, new vision, new dreams for folks. Weight loss, regular exercise, financial and profession advancement or otherwise positive change…all these fall into that same bucket. My personal goal for 2015 is to turn up the engine on “content output.” A couple bloggers I follow inspired me to reach further than I have thus far. They post regularly, nearly every day in fact, with some insight, story, thread that makes my day a little better. I want to do the same for others. It’s really all about discipline at the core. Write AND POST regularly, and especially when the spirit moves you, don’t ignore it. Up to this point I’ve used other social media channels (twitter, facebook, instagram) to provide an “inspiration fix” when the GOOD comes across my path and I act to share it with the world. That practice will continue. What will change is the regularity of posts on this blog. Most every day I come across something, have some experience, witness some event or action, which reminds me that life is in fact “half full.” My aim now is to turn that witnessing into regular content, to help others realize it can be “all good”, if only we see it that way. Get Ready…Get Set…and once again, ONWARD. I’m a BIG fan of twitter. There are two main reasons. First, I love the twin effect of having an immediate voice to the world for anything and everything GOOD that comes to mind. I also love the fact that I find SO much GOOD coming from every corner, including sources I know and of course, many more I don’t know. Twitter is how I found the following two super-fine examples of good happening in the world. Together they are a perfect example of the GOOD I’m talking about that I come across every day. These two individuals are both women and both are Egyptian. I don’t know if they know one another (via twitter or otherwise), but in my humble opinion, they should. One is now living part-time in the United Kingdom as well as Egypt. The other splits time in the United States. They are two voices that resonate for women, for children, for freedom, for tolerance, for all. First there is Mona El-Tahaway. She is a feminist writer and public speaker on Arab & Muslim issues. Mona has a massive 291k tweets, 208k followers, and 21.2k favorites. Then there is Nelly Ali. She is researcher who strives (successfully!) to advocate for street kids and thus provide insights on education, society and culture in Egypt and beyond. Nelly Ali has a more modest 22.5k tweets, 21.4k followers and 5,976 favorites. The GOOD is out there. It’s all about finding it and sharing it. If any of this resonates for you, you can do the same. Via twitter, or any other channel that suits you.